Back in 2001 I segued from the admittedly oh-so-cushy world of foundation grantmaking to accept a position as a 15-hour-a-week development director/grantwriter/marketing director for a $3 million community agency (folks I could not make this stuff up). My first week or so was spent going through files and interviewing various staff and volunteers. And when our most long-standing volunteer told me “if you can do something with our annual membership program you’ll be a hero” I knew that our direct mail campaign would be my first priority. As you might imagine, I was scared to death. No experience whatsoever with writing a direct mail appeal. No knowledge of mail houses. Not a clue what segmentation meant. A direct mail dumb bunny. Luck (and an amazon search) led me to Revolution in the Mailbox by Mal Warwick. That book saved my hide. From Mal I learned that not every mail house is created equal (and set up a questionnaire that I used to interview three different mail houses before making a selection), different ways to segment data, how to design an effective reply device and reply envelope and so much more! That mailing – my first – went out to over 70,000 people. It resulted in a 25% increase in renewals (and saved the organization over 30% on the cost of the mailing). The following year’s mailing was even more successful. You might say I’m a big fan 🙂 of Mal Warwick’s. So when I reached out to Mal last year to ask if he might record a short teleseminar for my readers on Direct Mail on a Shoestring Budget I was a wee bit nervous. I needn’t have been. Mal’s made a career out of being generous and accessible – a true gentleman in the world of fundraising. And he had quite a bit of excellent advice to offer small shop. PAMELA: According to your article on the Frogloop blog, “Is Direct Mail Dying Or Dead, Hogwash.” You definitely believe in the future of direct mail. MAL: I believe in human habits and tendencies and emotions, and I know that no matter how quickly it seems that the world is changing and how quickly technology is taking hold of our lives, the truth is if you view it in historic terms it’s really I little bit slow. It’s going to take many, many years for online or even interactive experiences with television to supplant direct mail. It will probably happen eventually, but it doesn’t seem to me that it’s going to happen any time soon. PAMELA: Oh that’s interesting. You think eventually it will? MAL: Well I do think that there will always with a need for fund raisers to have presentations and proposals delivered by hand to donors and prospects. But I do think that the large scale direct mail fund-raising that is characteristic of our country today is likely to decline. It is in fact declining. Volumes are slowly decreasing. Response rates are falling a bit year after year. So I do think that there will be significant changes in the market but that’s not to say that we would be supplanting all human interaction using pieces of paper or other devices to present material other than electronically. PAMELA: What we’re going to talk about today is how it make direct mail work for the smaller nonprofit organization, especially in today’s economy. And I thought the easiest way to do that would be to talk about a hypothetical organization, tiny organization with say a total staff of only 3 to 5 people and a list of maybe 500. And out of that list approximately 300, only 300 of them have actually given in the past. Some regularly, others sporadically, and the other names have just been collected over a few years from a number of sources of volunteers online et cetera. 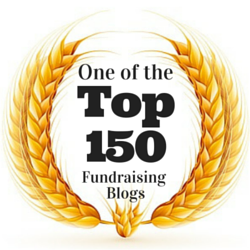 How would you suggest segmenting the list? MAL: Well first I think it’s important to note the purpose for segmentation, which is to allocate your limited resources the most efficiently. If you have that list of 500 there as you described it would be a limited number of people who have given regularly and generously. And if you follow the precepts of fund-raising practice generally, good practice, you would certainly want to focus on those people, and perhaps even one of those three people might be detailed to spend a major share of her time focusing on them. So that would be the first most important thing to do with segmentation, to select out the most reliable, most important donors, and to make sure that they get the treatment that they need in order to stay loyal and generous. The second thing that you might want to consider in going about segmenting a list of that sort would be to make sure that if in fact you mailing letters to all of your donors, that you make sure that you do not waste money mailing letters, fund-raising letters to what sounds like perhaps several hundred out of the 500, maybe as many as 300 people who have either never given a single gift, or have only given perhaps once and that not very recently at all. So the segmentation allows you to save money on the lower end of the scale, and to raise more money, to be more successful on the higher end of the scale. And if you just use that as the principal of segmentation and apply it as it fits your own circumstances you will be using your staff resources and your limited funds much more efficiently. PAMELA: Are you saying that you shouldn’t, you actually shouldn’t be mailing to the people who haven’t given? You shouldn’t be trying to acquire new donors through that list or through that part of the list? MAL: No, that’s not what I’m saying. What I am saying though is that my experience working with organizations, small and many large organizations, is that they make one tragically big mistake. They will build what they call “the list”, and through all the means that you described, and that list will become a fixed asset in the organization, and all the fund-raising appeals that they send will always about go out to that list, regardless of whether or how often or if at all these people have ever given money. And they waste an awful lot of money mailing time after time after time to people who have never responded or who have not been responding for years. And that’s what you need to take into account when you do segmentation. Now in a short teleconference I can’t describe to you a model for segmenting that list, but it’s very simple. If you want to have a general rule, you have the list at the bottom that you would only mail to very, very infrequently… perhaps not even every year. And you would have a group at the top that you would pay very close attention to. And then there’s a larger group in the middle that you would be approaching from time to time with the least expensive appeals for funds. PAMELA: Thank you for clarifying that. Another question that I had was: should you ask less frequently? How often do you reasonably think an organization can ask for a gift within a year’s time? MAL: Well that really depends on the donors that you’re mailing to. And another thing, I want to be clear that when I talk about appeals, I don’t mean necessarily just by mail. It’s important to recognize that we now have three widely used and very successful means of staying in touch with our donors. Mail is certainly one of them, but there’s also the telephone, and there’s email. 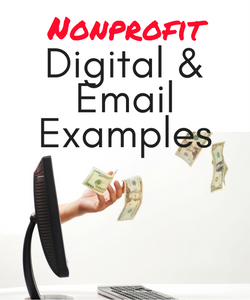 And even small organizations can and do use both of those techniques as well as the mail. So it makes sense to me that people who are most committed to your organization, you would want to stay in close touch with on a regular basis year round. You wouldn’t necessarily want to send them a fund-raising letter every month or two, but you would certainly want to be in touch with them through some sort of newsletter, perhaps an electronic newsletter, maybe an informal update letter from the executive director that goes out by mail or by email. Maybe from time to time, at least once or twice a year, you would call them up, maybe once to ask them some questions about how they feel about what you’re doing, maybe the other time to ask them if they’d consider upgrading their support from level A to level B. So the people who are most responsive deserve and require more frequent contact. And the people who aren’t responsive, in most cases you shouldn’t be wasting money on them at all. PAMELA: Okay. That works. So you recommend say like 12 touches a year? MAL: Well, for the most responsive donors, yes. In an organization with a very large list you can have a significant number of people who would in fact be getting 12 touches. They would not by any means all be appeals for funds. They would include newsletters, action alerts, and so forth. Now with a small organization such as you’ve described, it’s a different story. Maybe out of that list of 500 there may be 50 let’s say, or 25, that are really responsive. And you want to find some way to stay in touch with them. Maybe offer them opportunities to sit down with the senior staff, with the executive director, with the Board. Maybe have a wine and cheese event, or the equivalent, so that you’re making sure that you are keeping up the stewardship, so that there would be with perhaps that group of people as many as 10 or 12 touches in the course of a year. I wouldn’t dream of doing that though with the people who give an occasional gift of $25 or $50 dollars. With those people at most I’d want to contact them maybe four times a year, and again perhaps only two of those would be appeals for funds, or three if you use email with any of them. 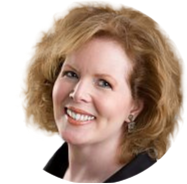 PAMELA: This is a question I’ve always wondered about: do you think that the organizations quarterly or monthly — we’re talking about a print newsletter — is another opportunity to ask? 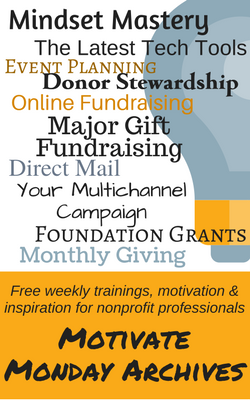 Or do you think that your newsletter should primarily be a stewardship device? PAMELA: No, not at all. I’ve always viewed the newsletter primarily as a stewardship device. But I’m working with an organization now, and it is their primary fund-raising piece, and they’ve done it for 30 years, and it works for them. MAL: Yes, exactly. And I know of other organizations that operate in very much the same way. The clients that my staff and I have worked with over the years have gone either way, and sometimes we go both ways. 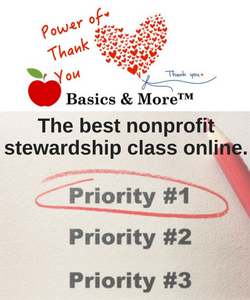 We have with some clients we will send perhaps four or six newsletters in the course of a year, and maybe two or four of those will be simple stewardship devices. But when we really want, we’re in the middle of a big campaign, or we want to really make a big splash with an appeal for funds, we will enclose a letter and a response device with the newsletter, and we will send that. It becomes both an appeal and a stewardship device, and it has worked very well. PAMELA: That works for me. I’m trying to talk this particular organization into going with, they actually never done appeal, and yet they do extremely well. PAMELA: With individual giving. I know it ain’t broke, but by the same token I’m thinking, gosh, if they haven’t actually had an appeal, and they’re getting this good of a response, imagine what they can do with a really great appeal. MAL: Well perhaps a compromise approach might make sense. Ask them to identify their top 5 or 10% of their donors using the segmentation criteria of recent-cy, frequency, and monetary level. And for that 5 or 10% in addition to the newsletter send them perhaps a year end appeal. PAMELA: That’s a great idea. MAL: And they’re going to account for the lion’s share of the revenue anyway. PAMELA: Exactly. This other question I had is: we all get the letters, you know, December and November, they pour in the mail boxes. Are there any advantages to scheduling your ask for a different time of the year? MAL: Well, not as an alternative to that, but in addition to that. MAL: The reality is that in the United States, both because we’re, most people are Christians and attuned to Christmas time as giving season, and those who aren’t have caught the bug anyway, and because of tax of reasons, a very significant proportion of fund-raising revenue comes in those final months of the year. So it means that everybody and the fund-raising business is asking their donors, everybody. 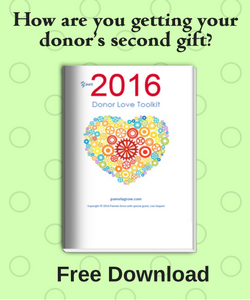 Now it is the time for you to ask your donors for money. 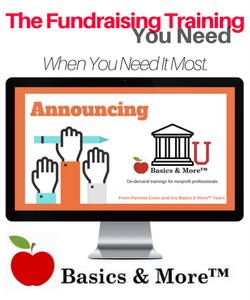 Whether it’s also a good time for you to be prospecting for new members or donors, well that’s an entirely different question. For a small organization with a few hundred people on a list, it’s probably not a good time to be prospecting for new members. 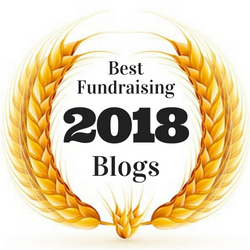 A better time might be earlier in the year, but it would be a mistake to not to appeal to your donors, and I mean your real donors, for support at year end. PAMELA: I’ve got a couple more quick questions before we get on to some of the questions that my subscribers sent in. 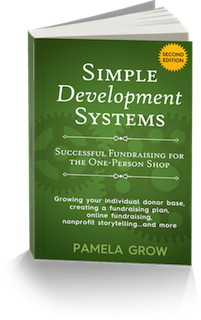 What are the inexpensive ways a small organization can go about creating a complete package? The response piece? The letter? MAL: Well the very first point to keep in mind is that even though you will see very fat fund-raising appeals in the mail coming from the larger organizations with all so it is of colorful inserts, the reality remains that for most purposes you need only four elements in a fund-raising package in order to be successful. One is the outer envelope or carrier envelope that delivers the appeal. The second is a letter, and I mean a letter. Not something that is a warmed over brochure or flier. The third is a response device, generally detached as a separate card or slip of paper. And the fourth is a reply envelope with an address that comes back to you. 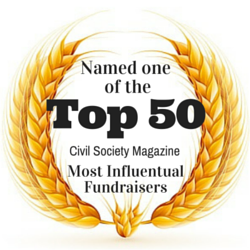 Those are the only four elements that are really necessary in most fund-raising appeals. Now if you want to, if you’re really on a shoe string budget, then you can definitely begin by limiting yourself to those four elements. You can print everything in black. And if you want it to look classy you can use gray for the high lights on the graphic parts, the logo, and so forth. And you can put broad gray bands of color at the top or bottom of the letter and on the reply device. You can make it classy without having to spend money on color printing. Now in fact color printing these days isn’t much more expensive then a black and white printing. And at some printers it’s no more expensive at all, but I’ll assume that you’ll be using a local printer where is probably is a difference because they’re using small and older equipment. Those are two ways that you can keep the costs low. Now there is one way that it is very tempting to keep the costs low. 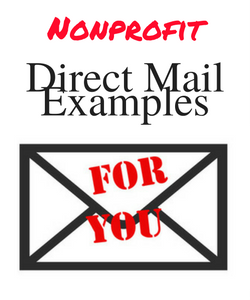 If you’re going to be mailing 200 pieces of mail or more, than you can probably qualify for the postal discount, and get the nonprofit bulk rate postage discount, but that’s not a good idea with your best donors, and it’s not a good idea at year end when there’s so much mail and there’s so much competition. It really makes good cost effective sense to use first class postage on any letters that you send to your top donors, and in most cases when you’re mailing it year end to all of the donors. And I mean donors. I don’t mean everybody on that list of 500. I mean the 200 people who’ve really given something of significance during the last year or two. MAL: A stamp ideally. There are many people who will reflexively discard every piece of mail that comes by bulk rate. I know because I’ve heard from so many people that that happens. Now there may be exceptions made for particular causes or organizations that a particular donor is especially interested in, but by and large it’s best, in order to get attention and get response and of course get first class delivery, to put a stamp on there, because that first class stamp will increase the a chances that the person will actually open the appeal. PAMELA: Here’s the age-old question: Did you put the stamp on the reply envelope as well? MAL: Well, it’s a good question, and the answer again varies, because I wouldn’t put a first-class stamp on the reply envelopes that are enclosed with appeals to people who are infrequent or very small amount donors, but I would definitely consider putting first class stamps on the reply envelopes for people who are very loyal and generous donors. That will typically, not always, but it typically will increase the rate of response, and sometimes the average gift. PAMELA: Well that’s a great answer. I hadn’t heard that one before. I always hear the testing, testing, testing, you know, little tiny organization doesn’t have a lot of time and resources to do a lot of testing. MAL: An organization will a list of 500 for all intents and purposes cannot do testing as it is known and in the direct marketing community. It requires larger amounts, larger quantities to do really rigorous scientifically justifiable testing. PAMELA: Exactly. Well these are some of the questions that I think I shared them with you already, that some of our readers sent in; what if we don’t have much of a mailing list to speak of? Is it worth attempting to grow it more, and if so how? MAL: Yes, it is always worth attempting to grow your list of donors more. Now again, if you’re saying mailing list, you ought to be focusing on donor lists or member lists, because it’s easy enough to add names to a mailing list and then waste a lot of money sending letters to them when there’s little if any likelihood that they’re going to respond. You can ask everybody on your staff, all your volunteers, all your beneficiaries, all your Board members to give you names and you can make your list even bigger. But there’s no point in doing that, because you’ll be adding what will inevitably be an awful lot of dead wood to the list. But there are ways in which you can reach out, not necessarily by mail, to increase the size of the list. For example you could ask all of your donors to give you the name and address of one, two, or at most three people that they think might be really interested in your work, and ask them for permission to use their names in approaching them. And then send letters to them but they would need to be letters that would indicate that so and so recommended that I get in touch with you. That’s one favorite way. That’s a friend get a friend approach as it’s widely known. A second way is so have an open house, perhaps on a regular basis for members of the community, and ask people to sign in when they come in and oversee the process so that you get legible names and addresses, and then you would mail a package to them that invites them to become donors. Very small numbers of people will, but those who will could become very generous donors over time, and worth a lot of money. 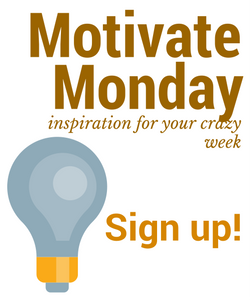 You can also build a list online. If you have an electronic mailing list, I’m sorry, an electronic newsletter, then it may make good sense for you to find ways to reach out, get links to other sites, exchange with other organizations, and offer your electronic newsletter free to anyone who signs up and gives you their name and mailing address. Now the chances that people are going to give to you online, even assuming that you already have the capacity to accept gifts online, are fairly slim. The response rates for electronic appeals are relatively low, but we do know that people who sign up online and are approached by direct mail have a slightly higher likelihood of responding, and you may get some more donors that way. I wouldn’t be mailing to them 5, 6 times, but I might mail to them once or twice. PAMELA: Excellent. Actually we’re running out of time. Is it true what they say that if you are an organization surviving the impoverished, people might be turned off from giving if a mailing looks too slick or polished? MAL: Well I think that this is largely a myth. It’s a myth because the people who complain about mailings that are too expensive are a very small minority. So that’s my starting point. If you listen only to the people who are cranky, and you overlook all the people who are happy because they send you gifts, then I think that you are being unnecessarily influenced by the exceptions and not paying attention to the rule. But there is something to be said for the point that mailings can indeed look too polished. What our testing has shown over the years — and not just in my agency, but consultants all over the country have learned that if they use lots of color and slick paper and photos and whatnot to dress up a package, that they’re more likely to be depressing response rather than increasing it, because plain and simple often wins the day. PAMELA: That’s what I always thought. And do you have time for one more quick question? PAMELA: And this is one that I think is asked all the time, but: What is the appropriate length of an appeal direct mail piece? One page seems not enough room to have meaningful content in enough white space. And I’ve received letters from other organizations that are multiple pages that I simply don’t have the time to read. What is the ideal length? MAL: Okay. Well, the answer is there’s no ideal length. The rule that I follow is you use as many words and as many pages as you need in order to make the case for giving. And in letters that are going out to perspective donors or members, than you may indeed require a letter that runs to several pages. Four-pages is the norm because it’s the most cost effective length under most circumstances. You pay for a third sheet of paper, that is a fifth or sixth page of a letter, and you are probably going to find that it’s not cost effective. But for many appeals to donors, to people who are very familiar with the organization, then a page or two may well be adequate, and often is. PAMELA: Great. Well, we’re running out of time. Do you have any final thoughts on direct mail fund-raising for the small shop, especially in today’s economy? MAL: Well I would urge anyone who is using direct mail and is not using the telephone to consider calling donors, not just necessarily for re-solicitations for appeals, although that’s important to do from time to time, but also as a way to keep in touch with your donors. PAMELA: Great. That’s what I’ve been advising also. 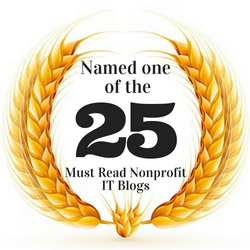 I read an article years ago that made such a huge difference in my career. It was written by Hildy Gotlieb, author of the Pollyanna Principles. And it’s called The Sound a Thank You Makes. And it’s all about calling, spending 30 minutes to an hour a week calling your donors. MAL: It’s a great, great bit of advice. Hi Pamela, what a great post! I translated and published part of it in my blog about fundraising for small and mid-sized non profit organizations. Here in Italy there’s so much to learn about this specific topic and so few people discussing about it! Thanks for your awesome work, as you’re a fan of Mal Warwick, I’m a fan of you! Luckily, with the internet – no one ever really retires. 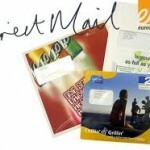 Thanks to you and Mal for demystifying getting started with direct-mail. WOW – that is a real education in dm. Thanks, Pamela. I also like that your post is a great example of finding an expert to help you through unfamiliar territory. 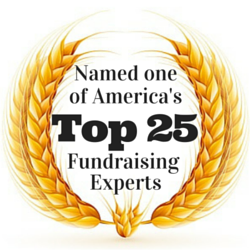 Organizations can become quick studies in any part of fundraising if they reach out to experts in the area they need help with. Thanks Sherry! Talking to Mal Warwick, for me, was akin to a guitar fanatic meeting Eric Clapton. I am a huge fan. Mal’s model of generosity is a fine example too. This information is pure gold. Hope that many in the nonprofit world will heed his sage advice. I, too, was changed forever by “How to write successful fundraising letters” and still pull it out from time to time. I was counseling a client last week about their fundraising program and I think they asked every single question that you asked Mal. Whew, I’m wiping my brow to say that our recommendations were right on! Thank you for the confirmation. I’m a huge fan of Mal’s too! I’ve learned so much from him over the years. I agree with you that direct mail is a great and cost-effective way to reach out to your donors to ask for a gift. I too have raised lots of money through the mail over the years. There’s nothing like the rush of seeing what the mail has brought! I love direct mail. And I think there’s still something to opening a envelope – so long as it looks like something more personal. That’s an advantage that smaller shops have – we may not have huge lists, but we can be sure that each letter has a real signature, and we can take the time to treat our donors as individuals, not just data in a file. Which is one of the great joys of it, of course.